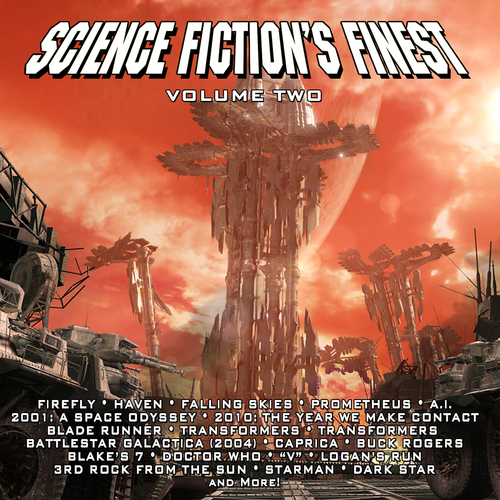 BSX Digital Music presents SCIENCE FICTION’S FINEST, VOLUME 2. The 26-song collection features newly recorded music from film and TV series including FIREFLY, FALLING SKIES, PROMETHEUS, TRANSFORMERS, BATTLESTAR GALACTICA, CAPRICA and more. Digital Booklet Cover art is by Tobias Richter of The Light Works (www.thelightworks.com).